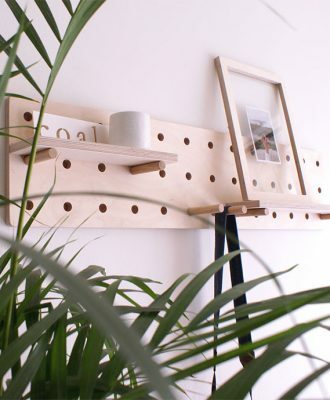 We’ve rounded up 8 of our favourite spots. Enjoy! 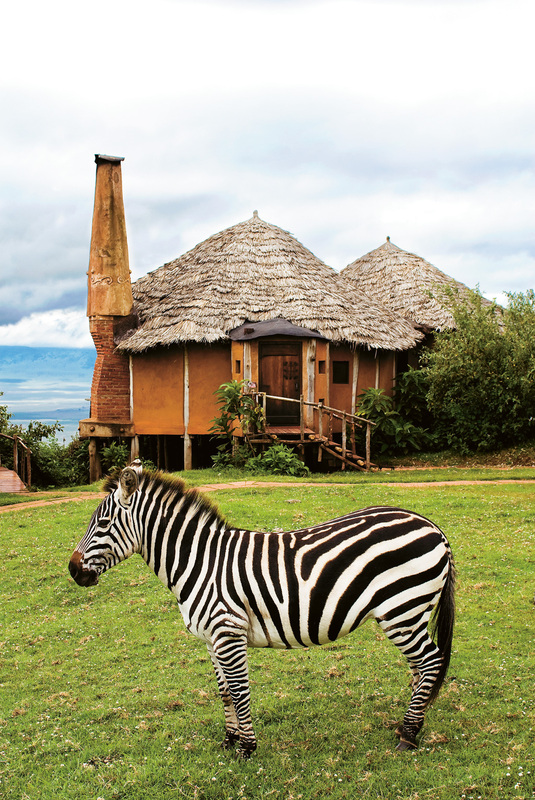 The simple exterior of the NgoroNgoro Crater Lodge in Tanzania belies the fantastical interiors, with cathedral-like domed roofs by Silvio Rech and Lesley Carstens. 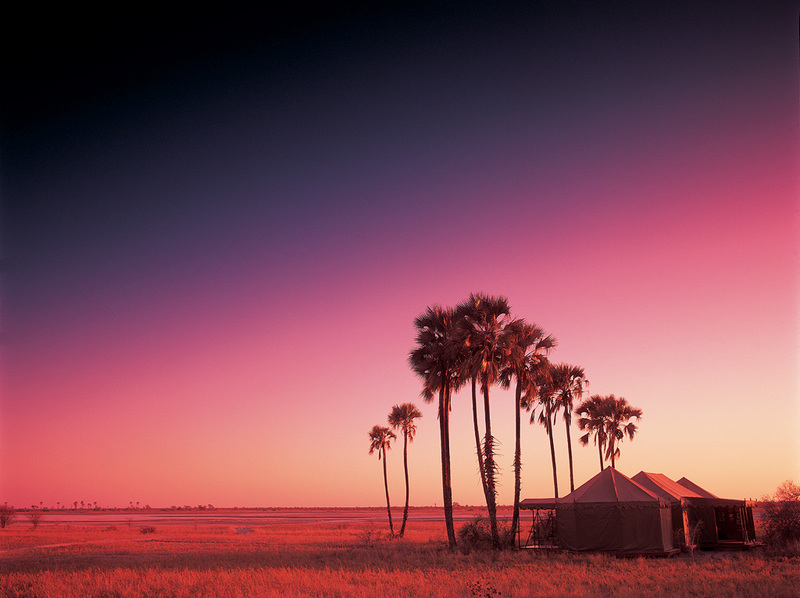 Silhouettes of palm trees and tents pop against a dusky sky. 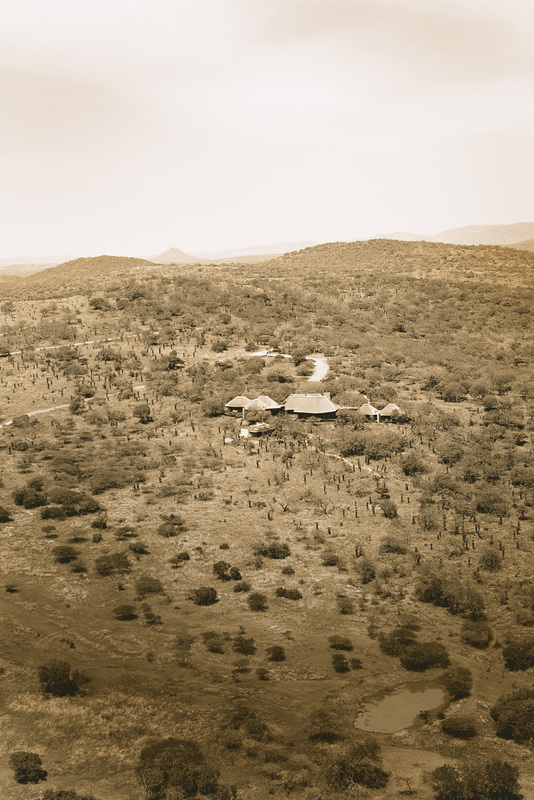 Created by Catherine Raphaely, Jack’s Camp in Botswana’s Makgadikgadi Salt Pans evokes a dreamy 1930s film set. 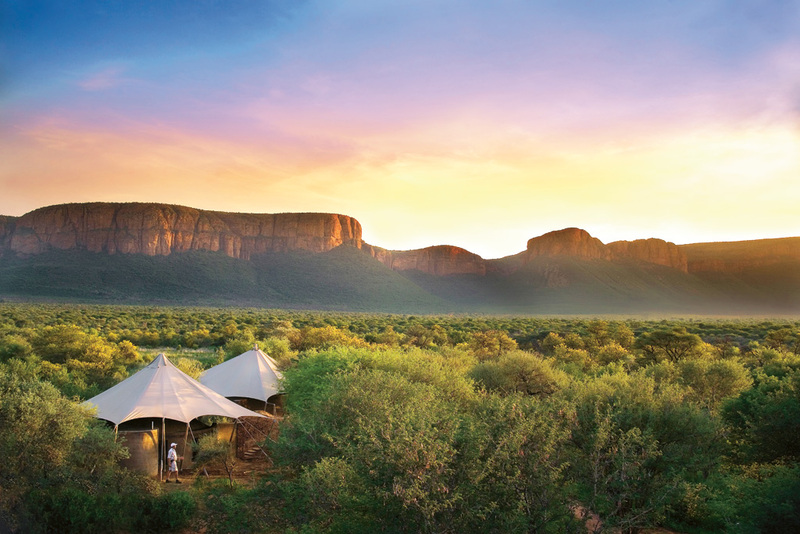 As the sun sets behind the Waterberg mountains, it’s high time for a glass of wine on the veranda of one of 15 luxury tents at the Marataba Safari Lodge in Limpopo Province. 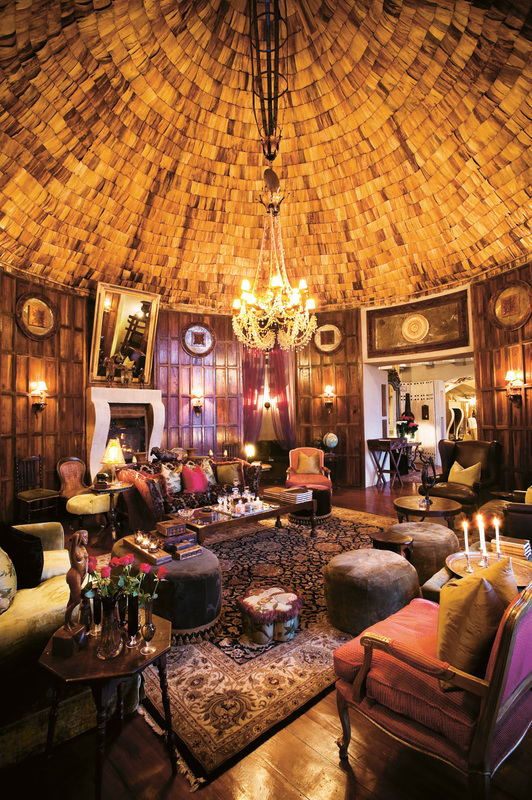 Known for their rooftop hideaways, the indulgent suites of the Xudum Okavango Delta Lodge in Botswana are by architect Nicholas Plewman. 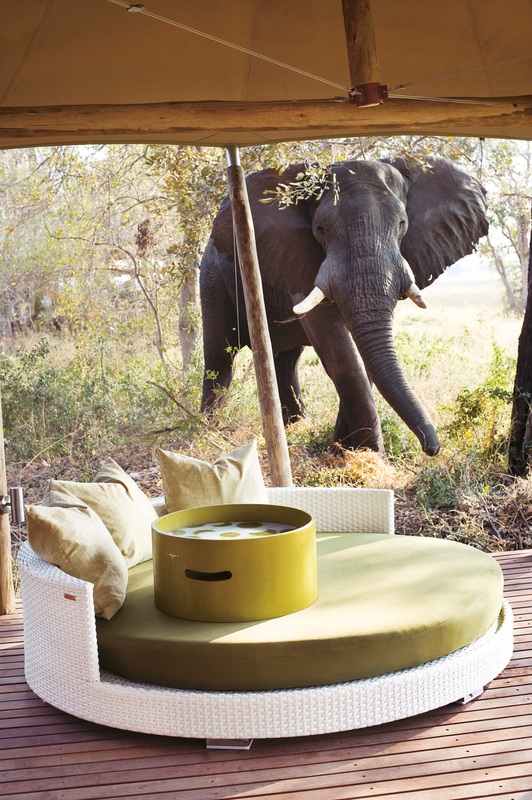 Unzip the canvas window of a luxury suite at the Xarrana Okavango Delta Lodge, also designed by Nicholas, and have a close encounter of the wild kind. 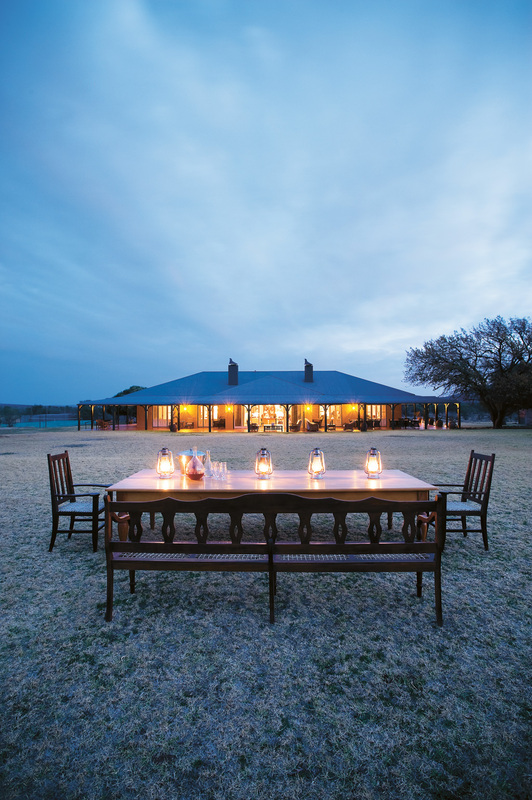 Untouched African outback meets traditional Karoo hospitality at Samara Private Game Reserve in the Eastern Cape, which puts on genuine twilight dinners. 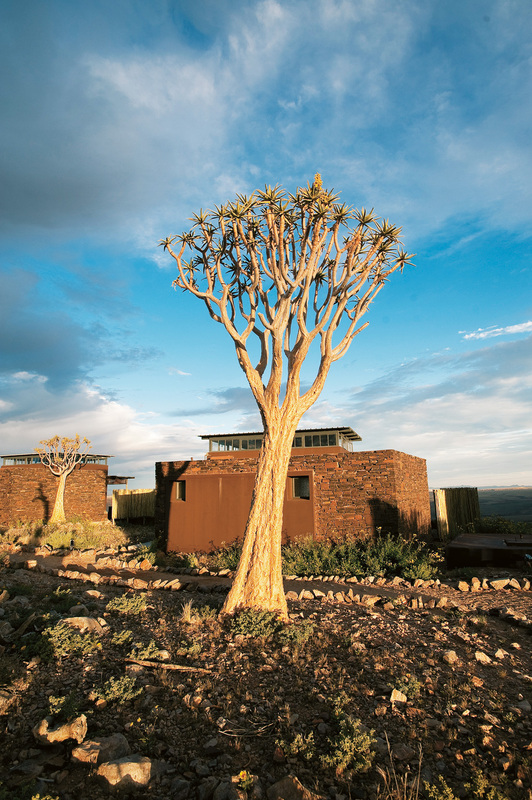 Dawn invites game drives through Samara, which includes four out of SA’s seven biomes – Nama Karoo, Valley Bushveld, Savannah and Plateau Grassland. 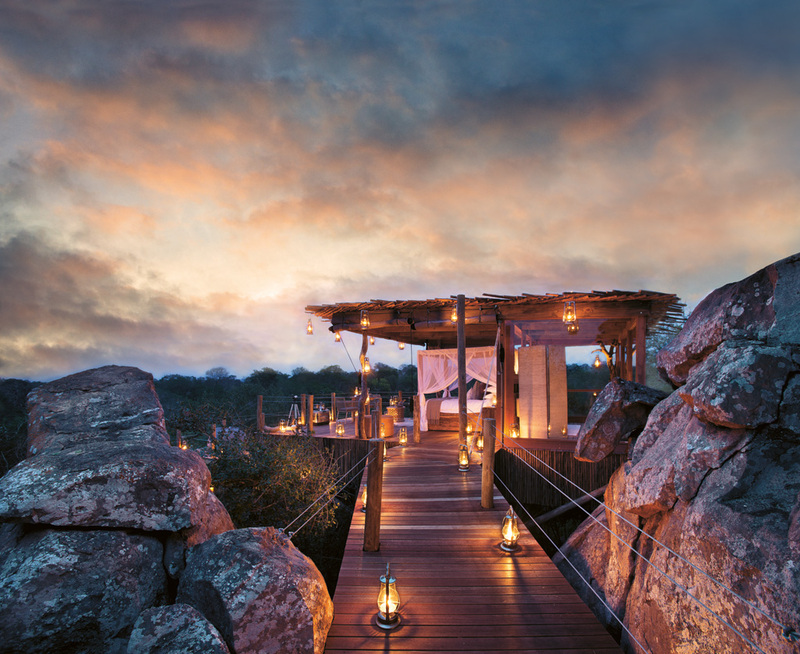 Between ancient rocks, lamps light the path into the heart of the escarpment for a sleep beneath the stars at the Madikwe Safari Lodge in the North West Province. 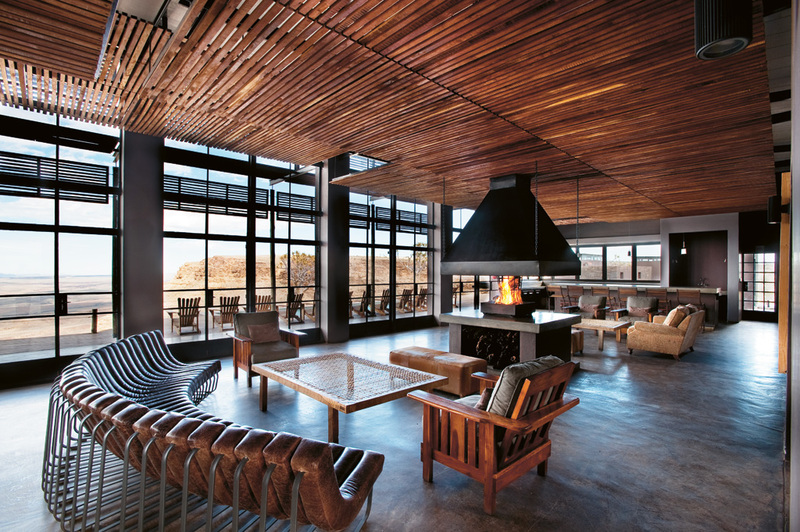 Haldane Martin’s Songololo Sofa steals the show in the lounge of the Fish River Lodge, boasting stupendous views of Namibia’s famous Canyon Nature Park. The colours and contours of the landscape gave rise to the architectural language of the lodge, by architect Andy Chase of Stauch + Partners. 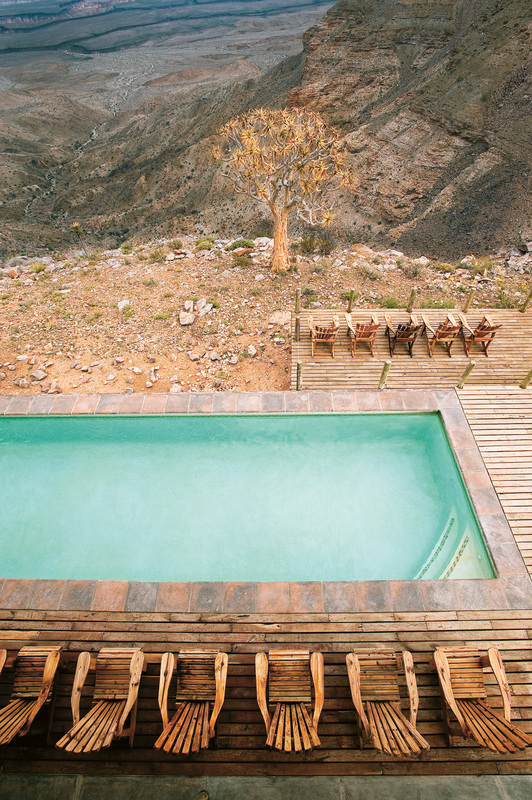 Showing the robust materials and environmental hues of the design scheme, the rows of wooden loungers around the pool look like lazy lizards. 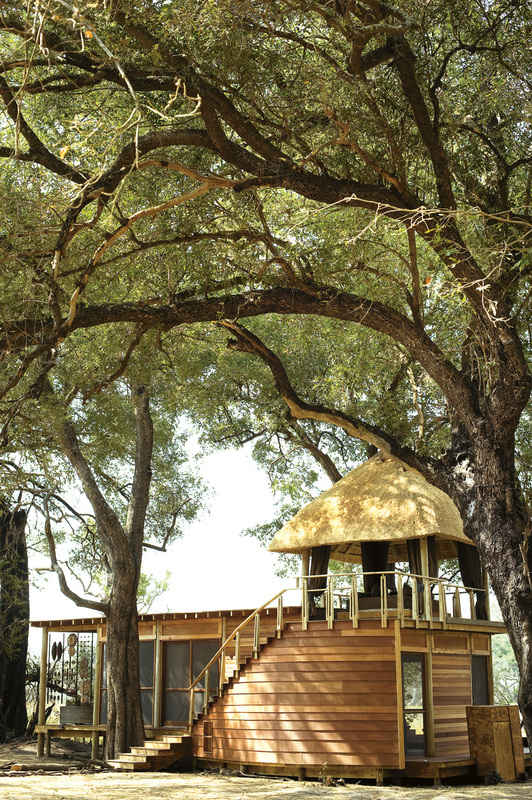 Whether it’s sand, sea or bush you’re after, at Phinda Private Game Reserve in KwaZulu-Natal you’ll get it all. 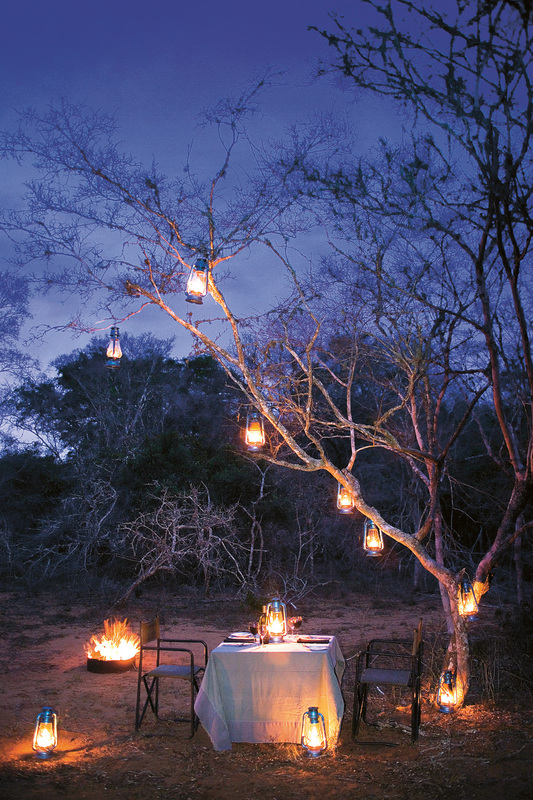 Nestled in an extinct volcano in the isiMangaliso Wetland Park, with the stars twinkling down between the trees, romance is best served lamp-lit for two. 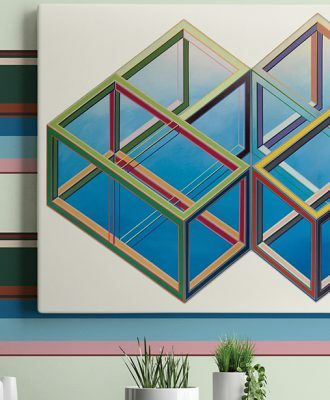 Next ArticleShow Us Your Paradise and Win!